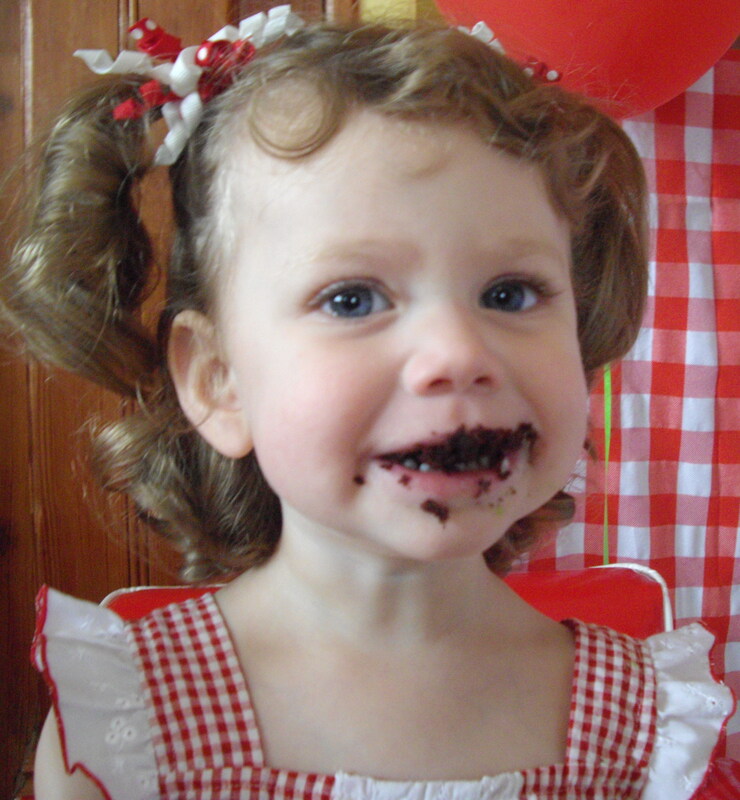 ← Birthday Girl…2 years old! 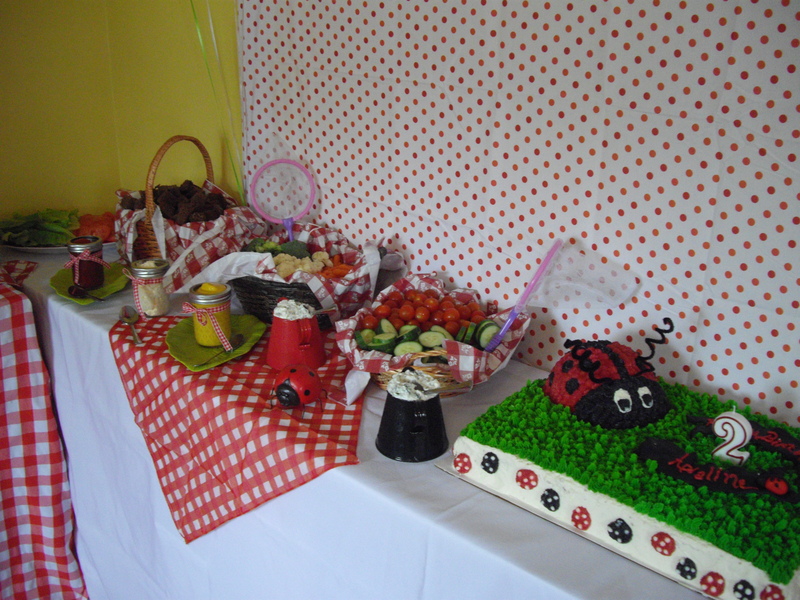 Saturday we had Adaline’s 2nd Birthday Party. 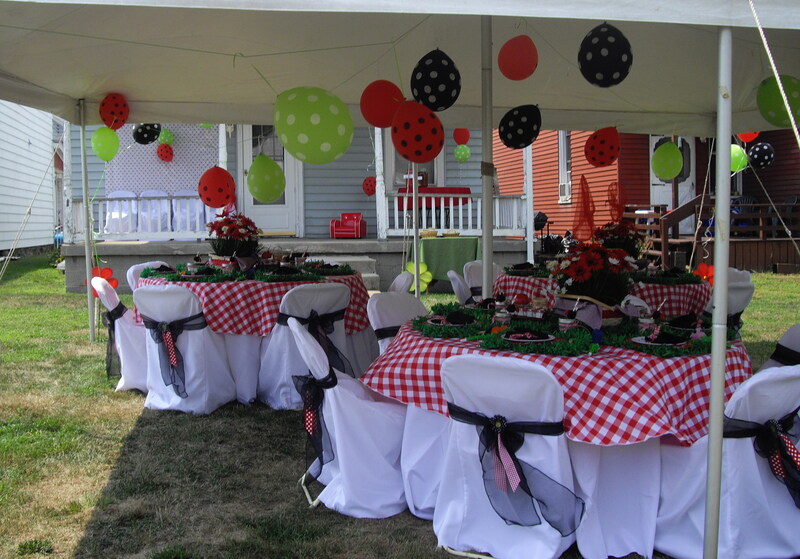 The theme was Ladybug Picnic and the colors were red, black, green, and white. 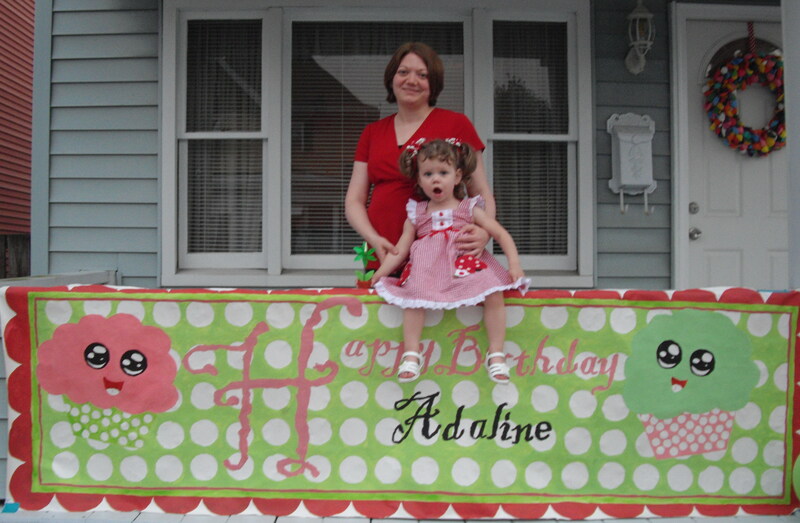 I reused Adaline’s birthday sign from last year out front again. Even though it didn’t go with this year’s theme it’s just too cute to sit in a box and not get used! 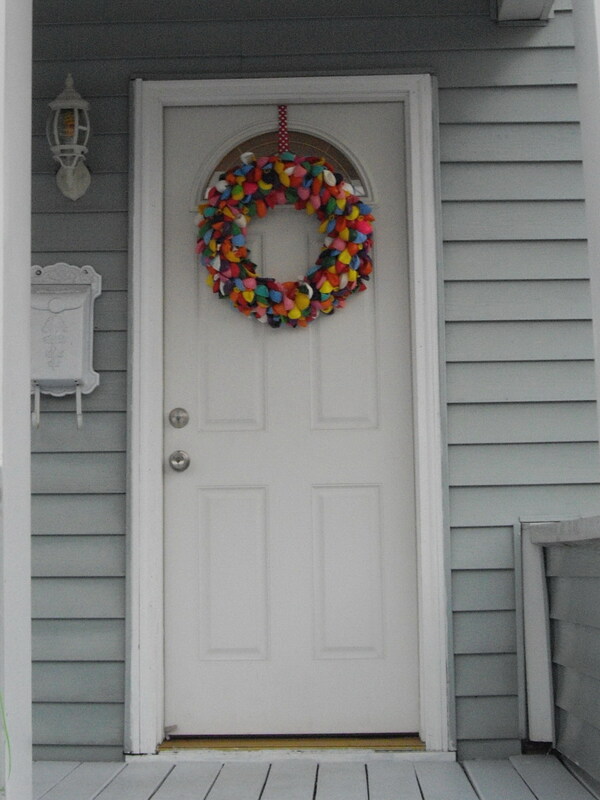 I made a balloon wreath for the front door. 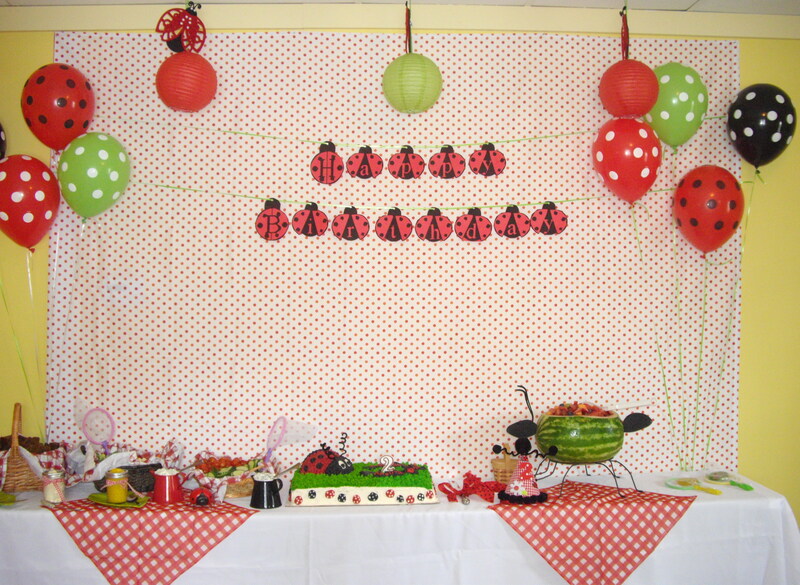 I decided to use multi-colors so that it can be used each year. 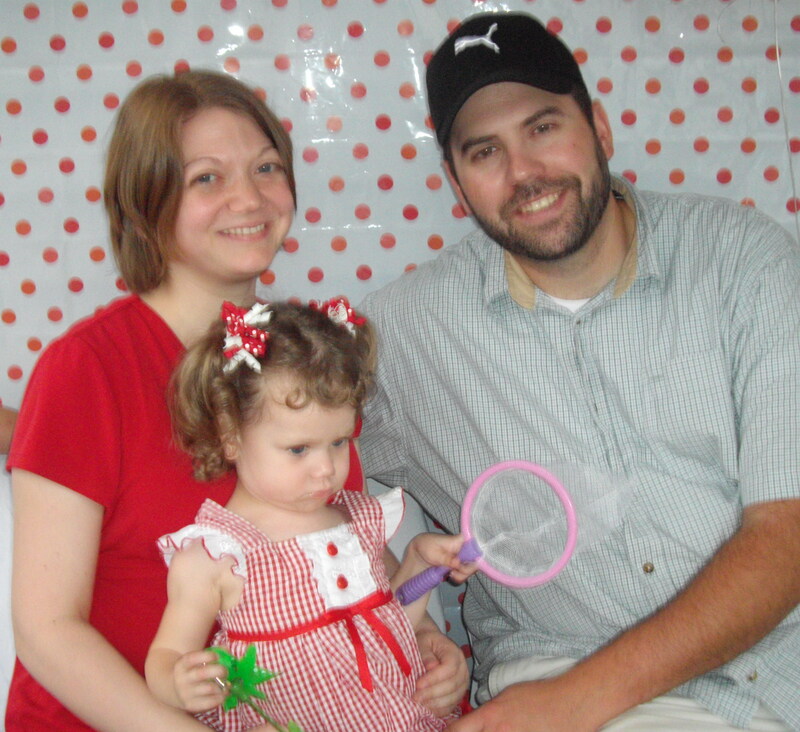 I’m so glad that I made it…Adaline loves it! 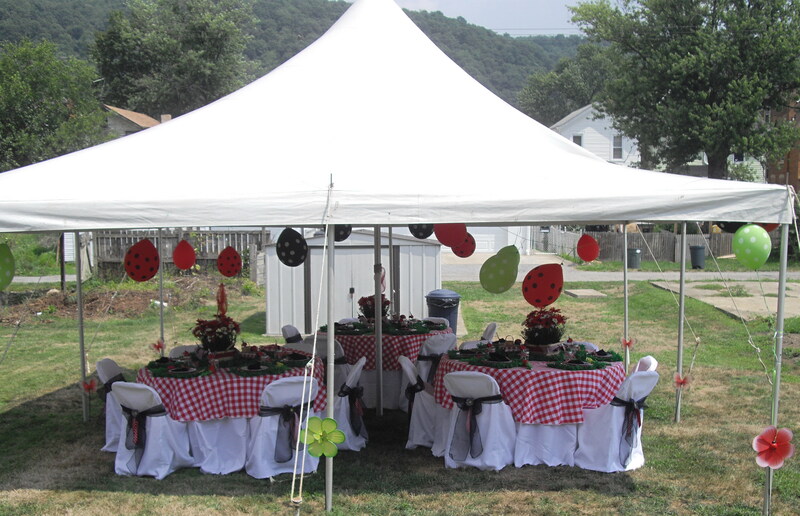 We rented a tent for the backyard so that everyone would have a place to sit and eat. 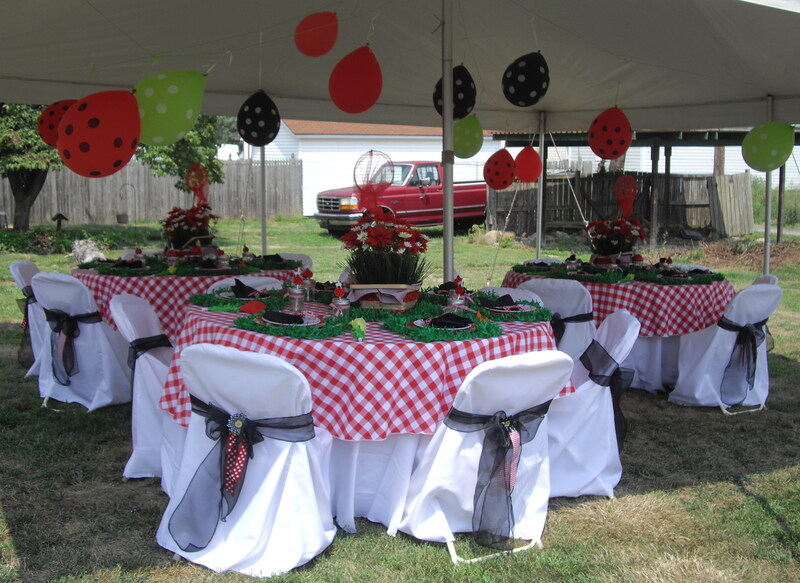 Unfortunately it was so hot that once we finished eating we all crammed inside the house for the remainder of the party. Since Adaline and her 1 year old cousin were the only kids I didn’t bother to plan any games or activities. 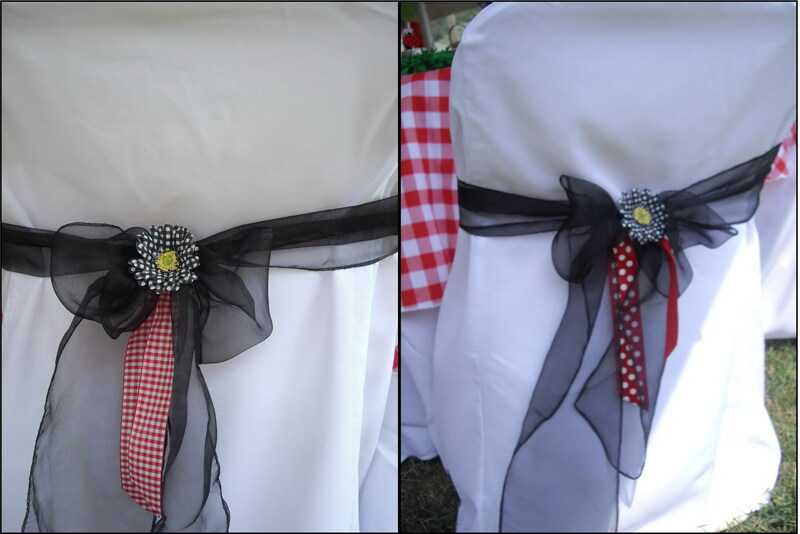 I couldn’t get great pictures of the tables because it was so windy and everything kept blowing away! 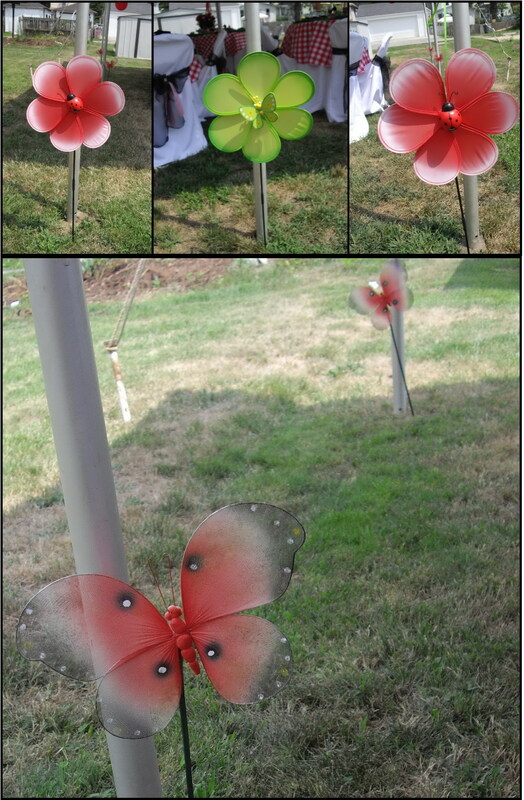 The tissue paper flowers are actually noisemakers. 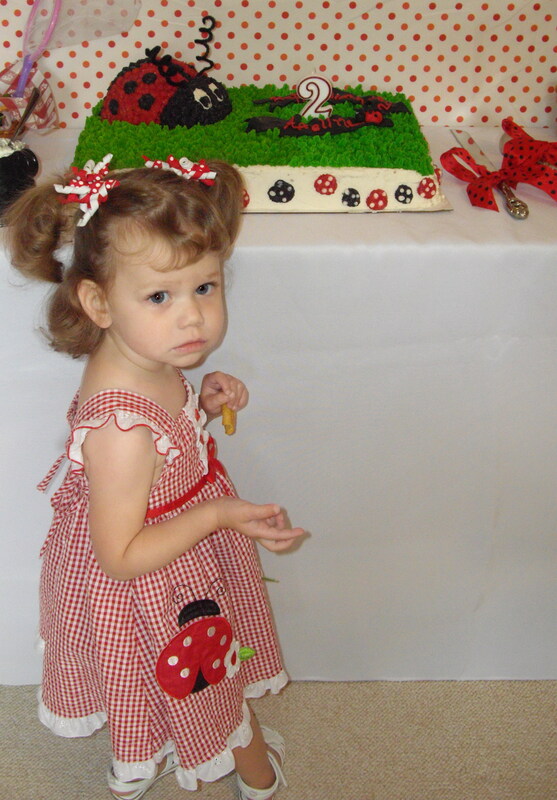 Adaline loved carrying them around but every time someone would blow one (which wasn’t often) she would say, “I scared of those!”. 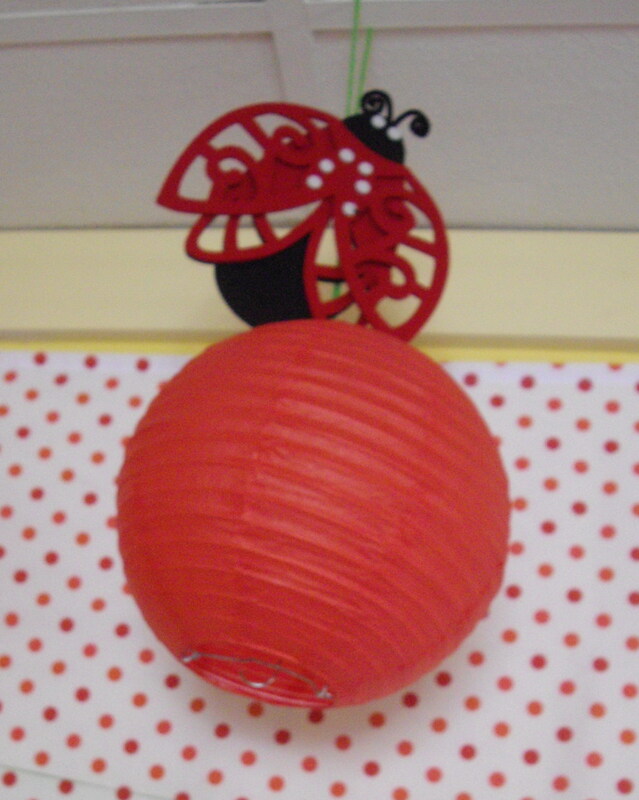 I added adhesive wooden ladybugs to these bamboo forks that I got at a party store. 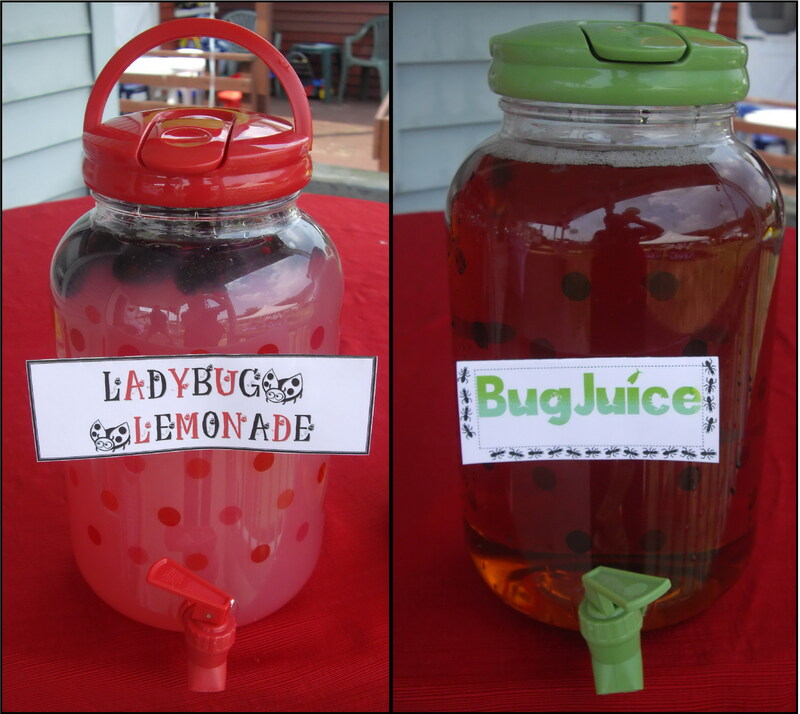 The Ladybug Lemonade is raspberry lemonade with frozen blackberries in it and the Bug Juice is iced tea. 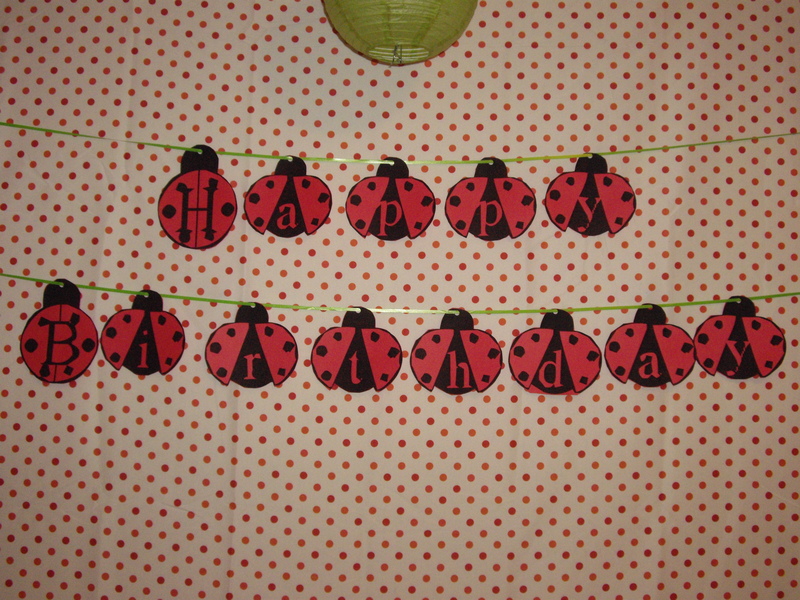 I made the little signs myself. 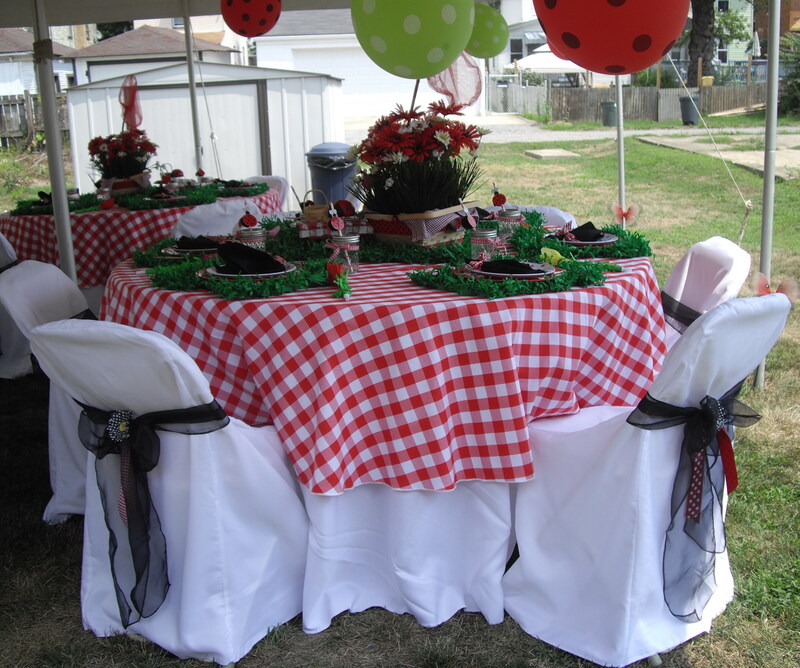 They don’t fit quite right because I was going to set them on the table rather than attach them to the dispensers but it was so windy they kept blowing away. 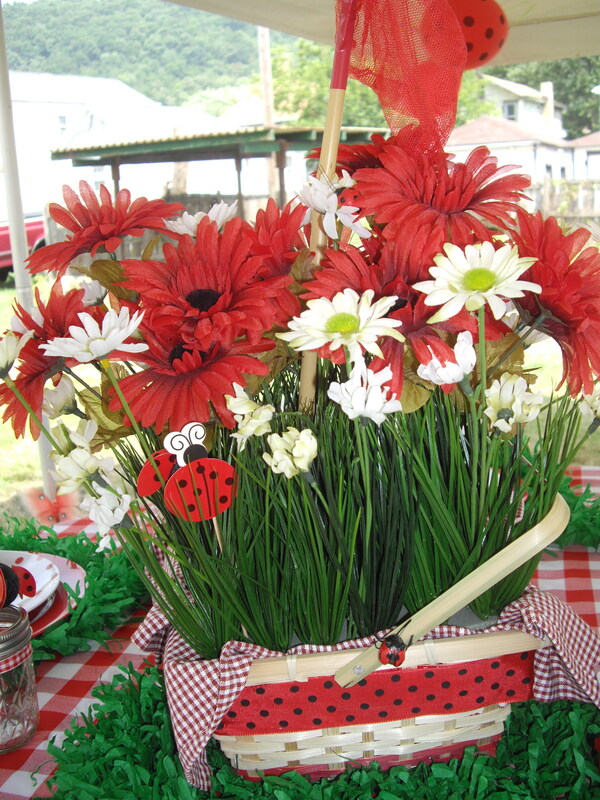 *FREE Ladybug Fonts Other free fonts include butterflies, bees, and other bugs/insects. 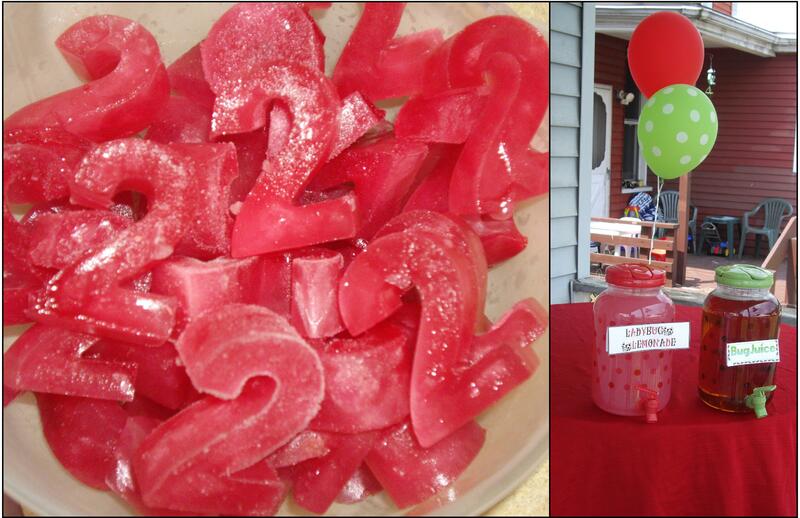 Yay, for number 2 ice cubes ! 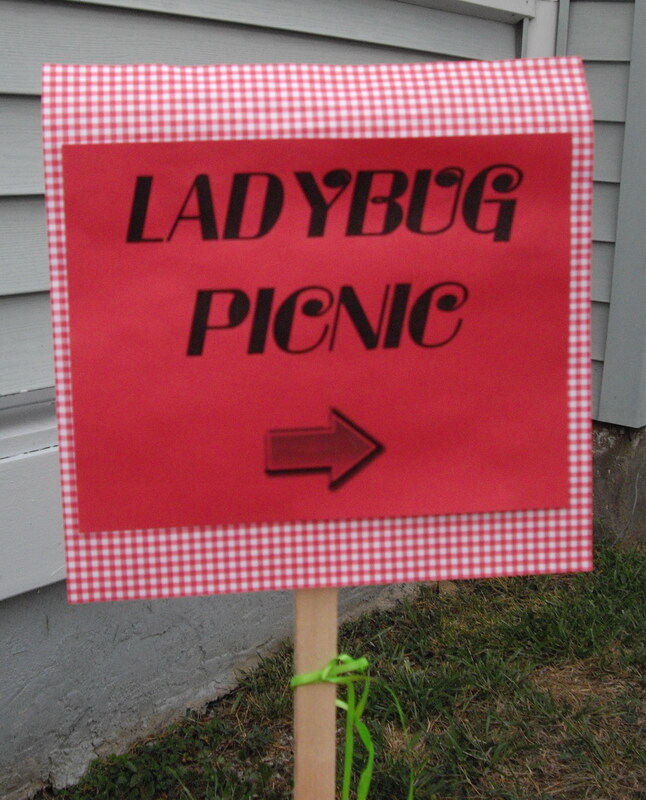 I made this Happy Birthday sign last minute (literally half and hour before the party) by using a ladybug font and printing it out onto red cardstock. 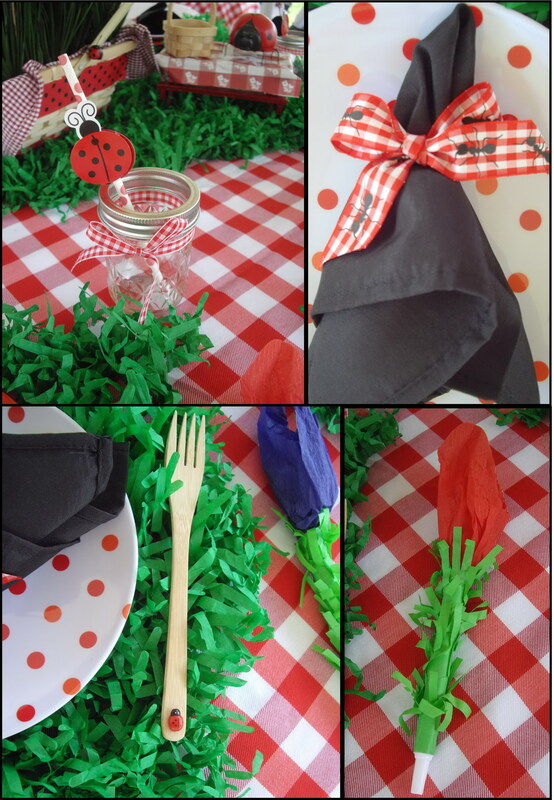 We kept the food really simple. 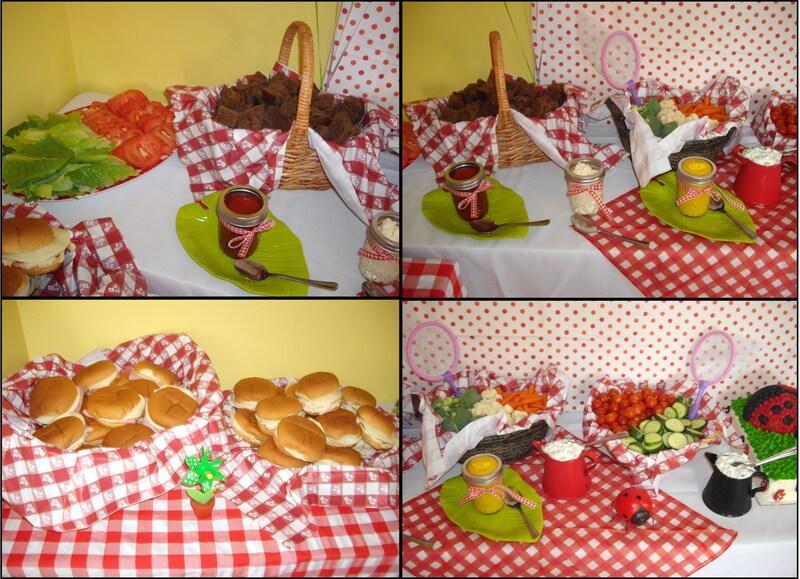 Sandwiches, veggies and dip, and fruit salad. The end. 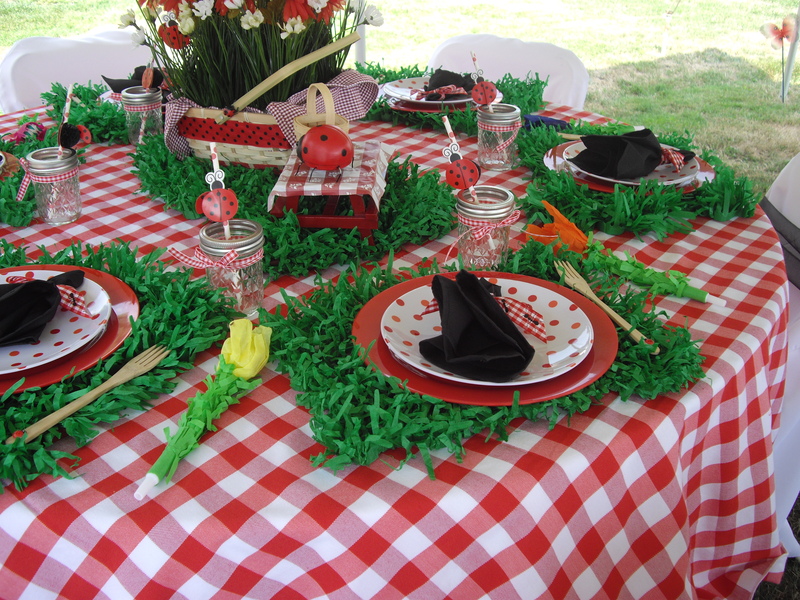 To keep the picnic theme going we put all of the food inside of baskets from The Dollar Tree and lined them with a cut up plastic gingham tablecloth from a different dollar store. 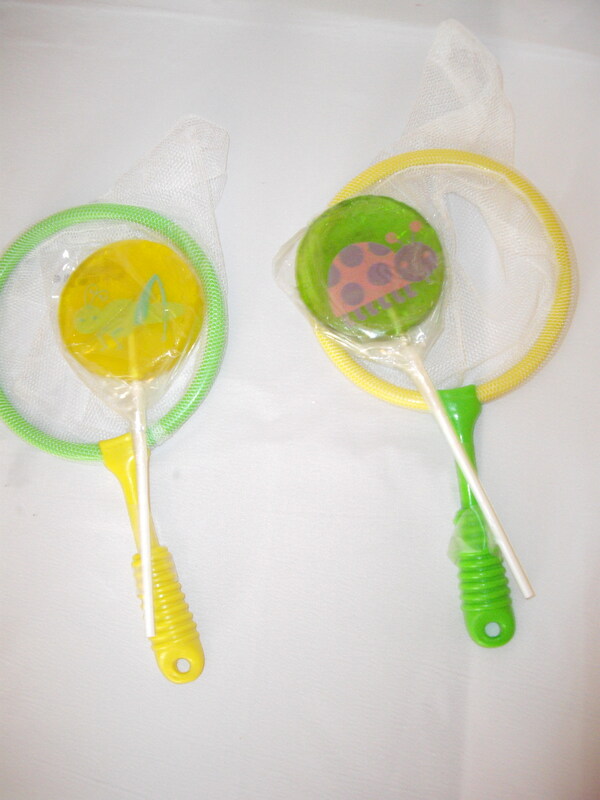 I got these cute mini bug nets with lollipops in the clearance section of Wal-Mart after Easter. Oh no, black teeth! Too bad this is the best pic I got of her all day! 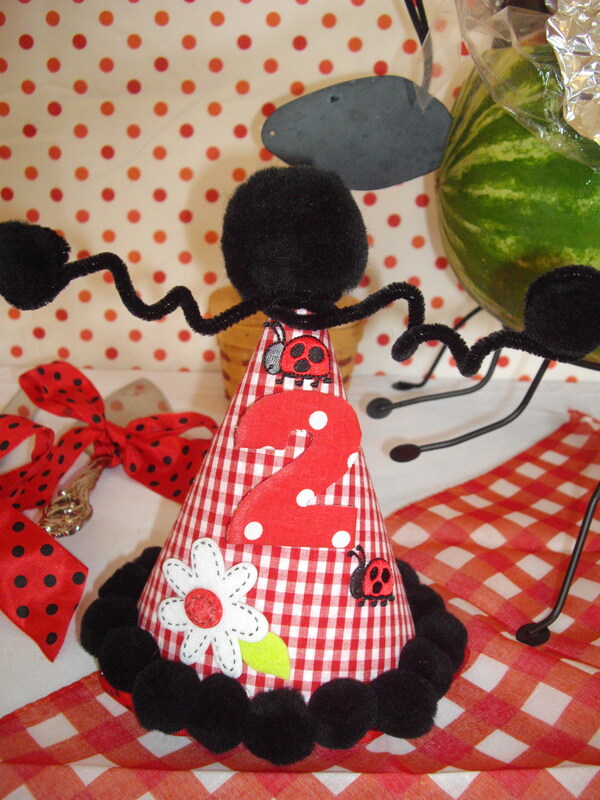 This is a closer look at the hat that I made for Adaline. 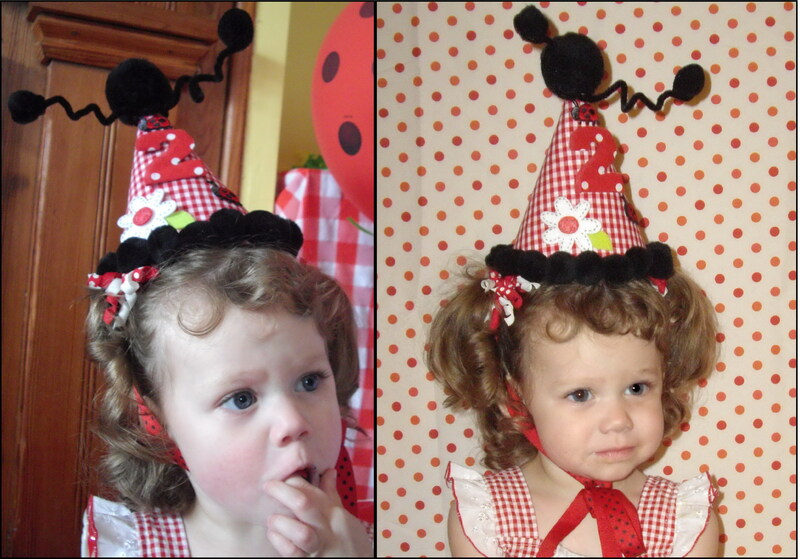 Sorry, she’s stuffing her face in the first picture and the antennae are crooked in the other. Oh well. 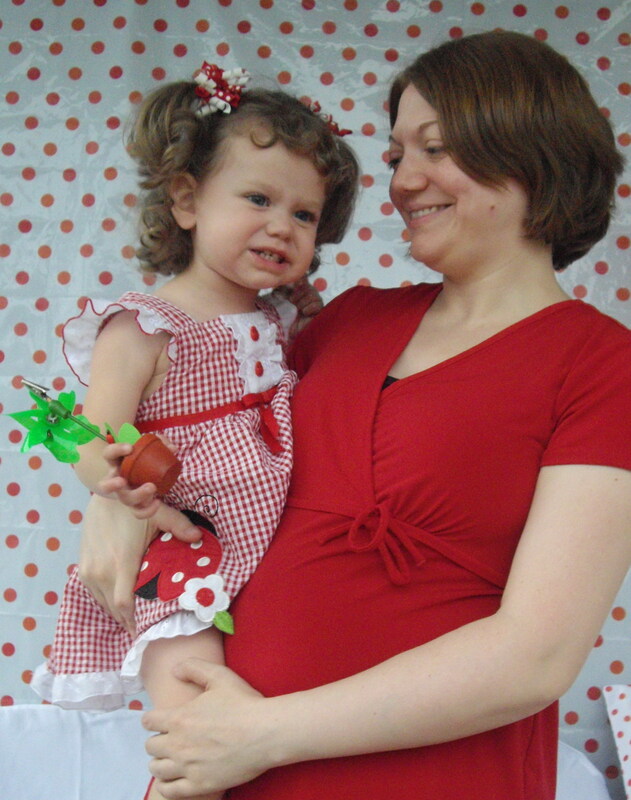 This is the only picture I have where you can see Adaline’s entire dress. 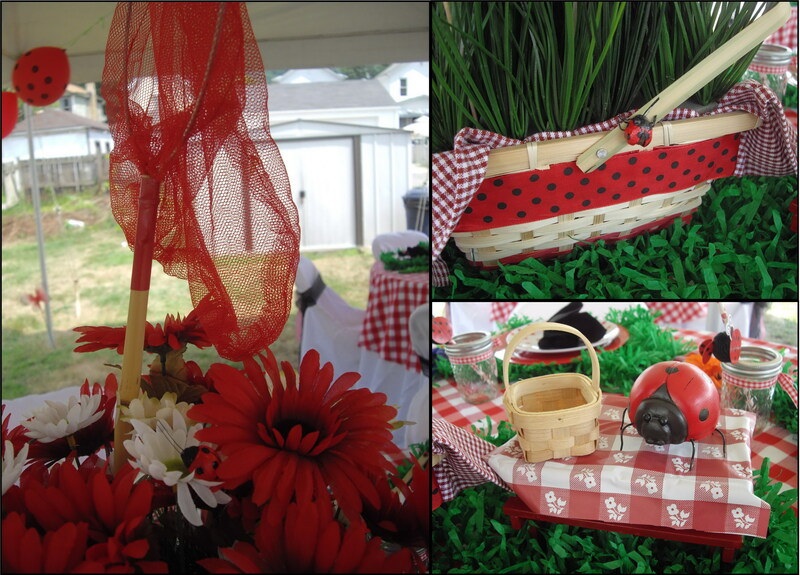 I loved that the dress was gingham so it tied in the picnic theme with the ladybugs…which are pockets by the way ;)! 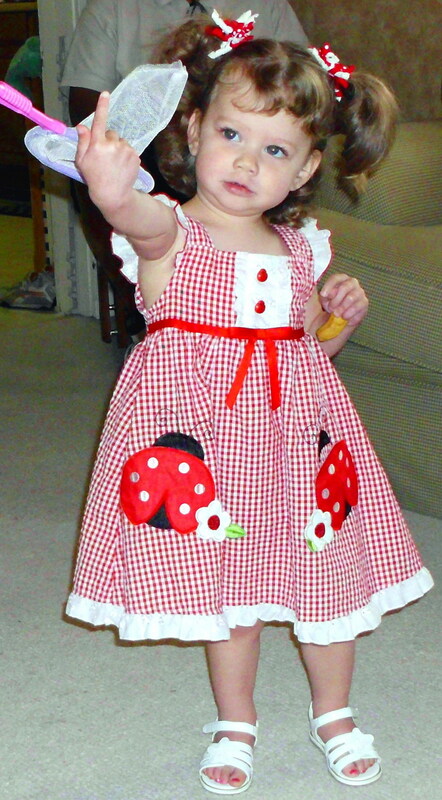 The dress is by Jenny and Me and I got it at Burlington Coat Factory for $9.99! 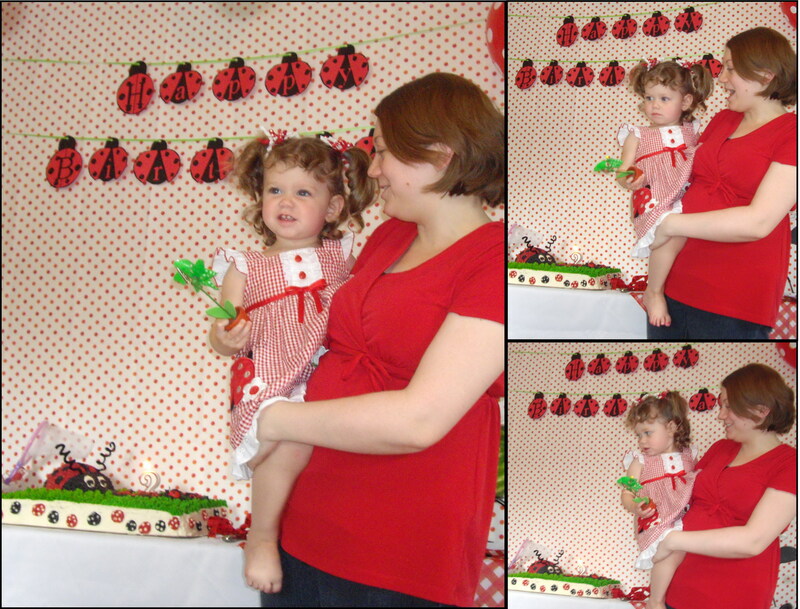 To see more pictures of Adaline at her birthday party click here. 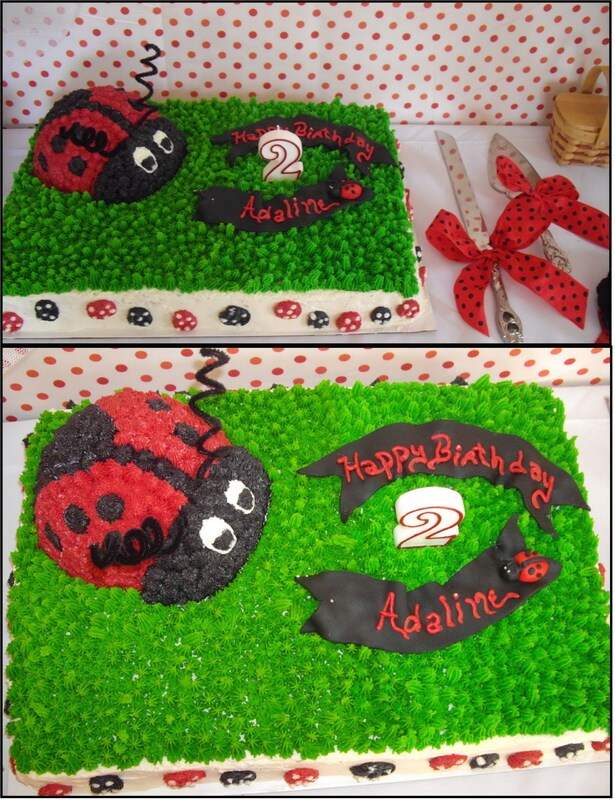 Posted on August 12, 2011, in Adaline, Birthdays, Ladybug Party, Parties and tagged Birthday Traditions, ladybug, Parties, picnic. Bookmark the permalink. 10 Comments. Yay! I’m so glad the adorable cupcakes were able to make another appearance! 🙂 Everything looks lovely. 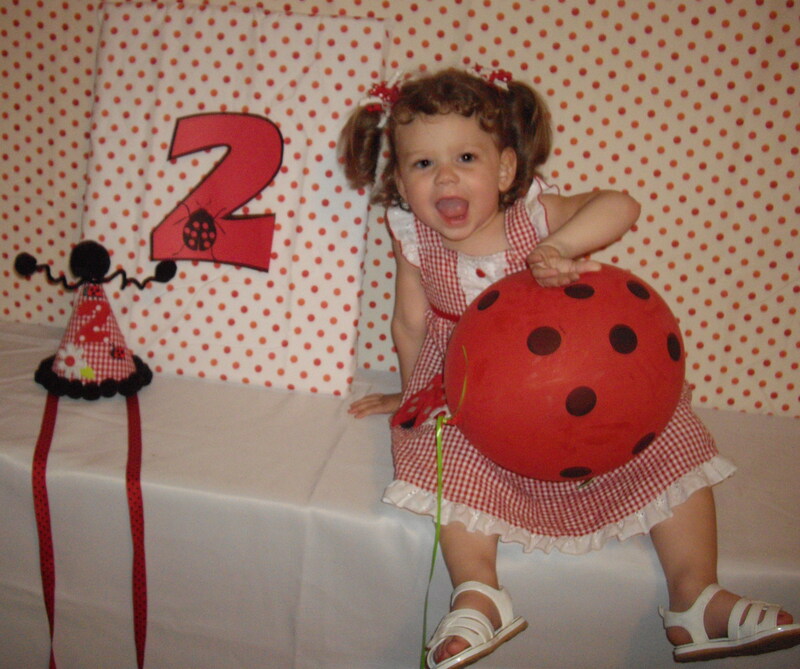 It looks like she had a wonderful second birthday! 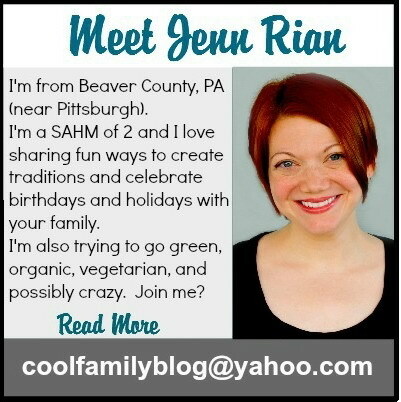 Oh my gosh, Jenn!! sooo cute! LOVE LOVE LOVE THIS!!! 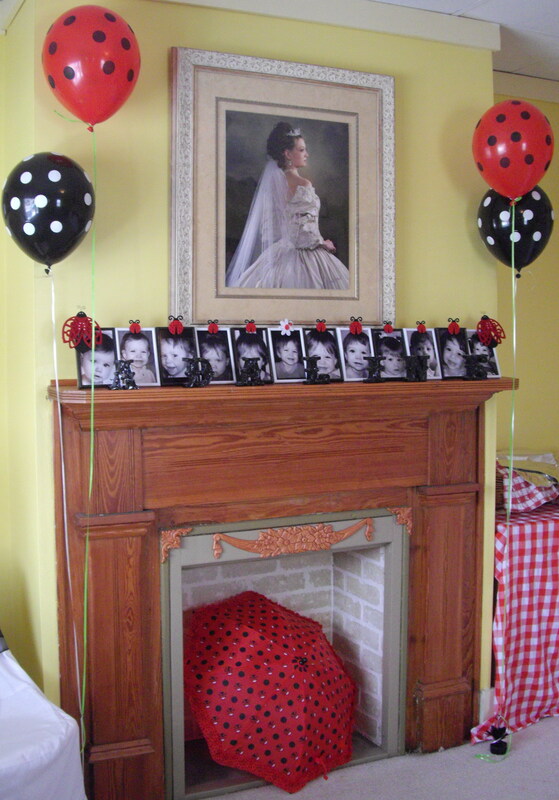 My daughter just turned a year in May, I might have to use some of your ideas for her next birthday! 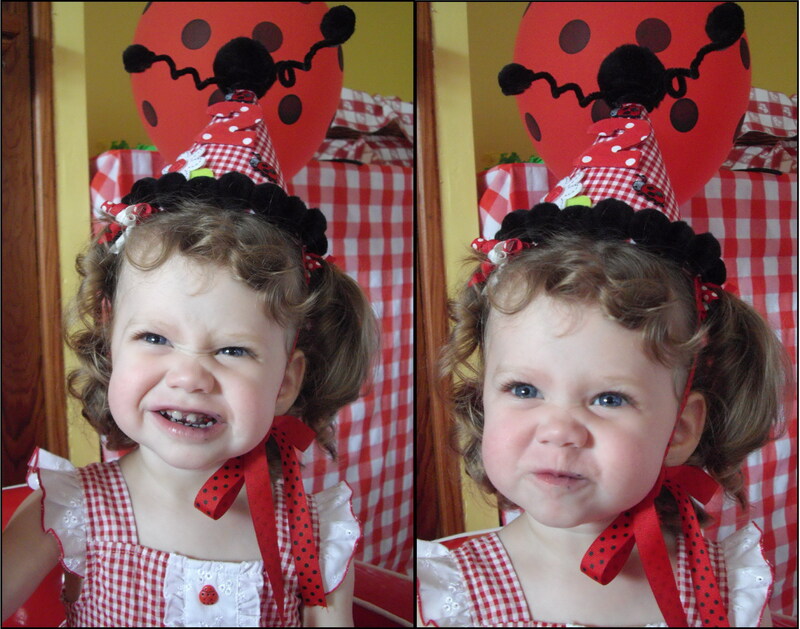 Soooo cute, thanks for sharing! 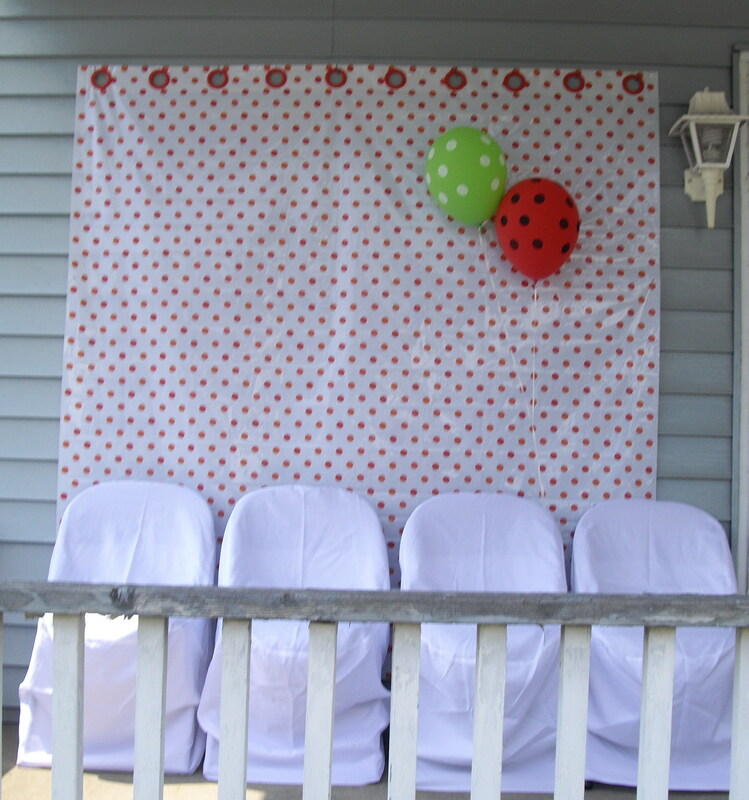 The balloon wreath is a MUST have for every birthday party!!! Hi! 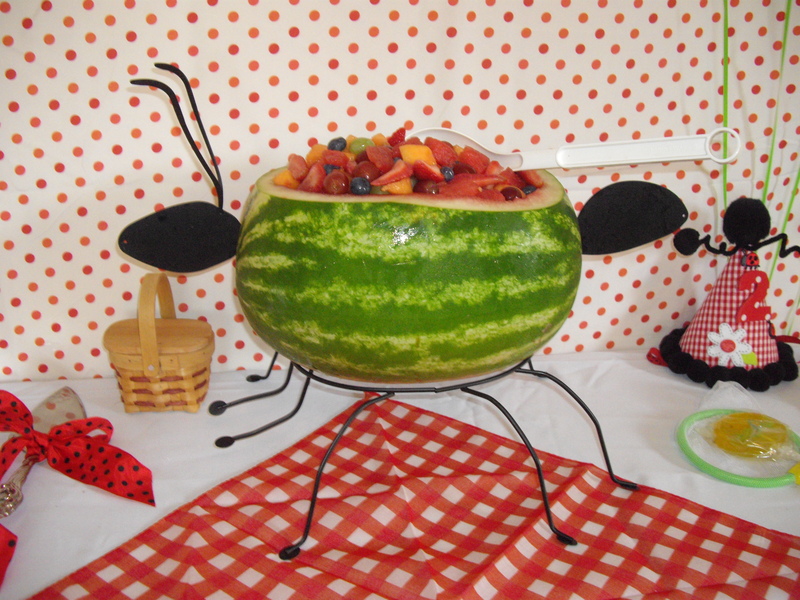 I love your ideas! 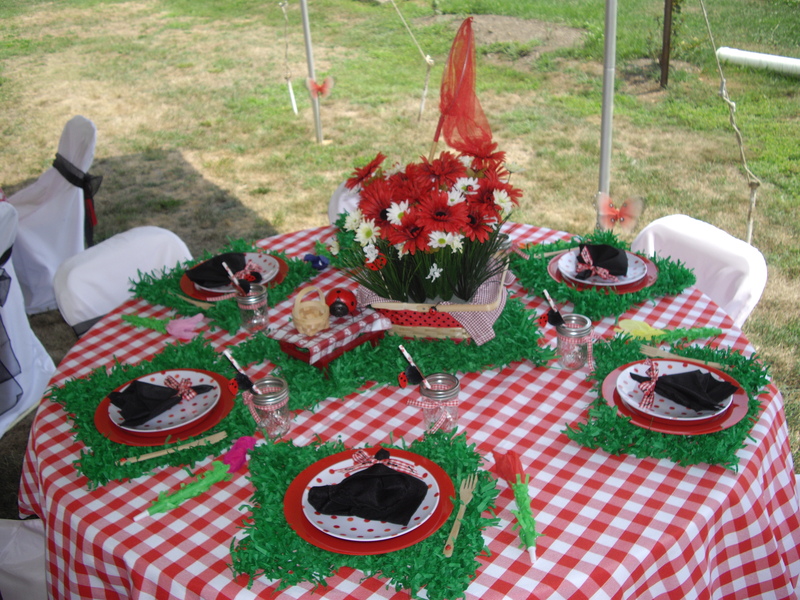 How did you make the grass placemats from tissue? 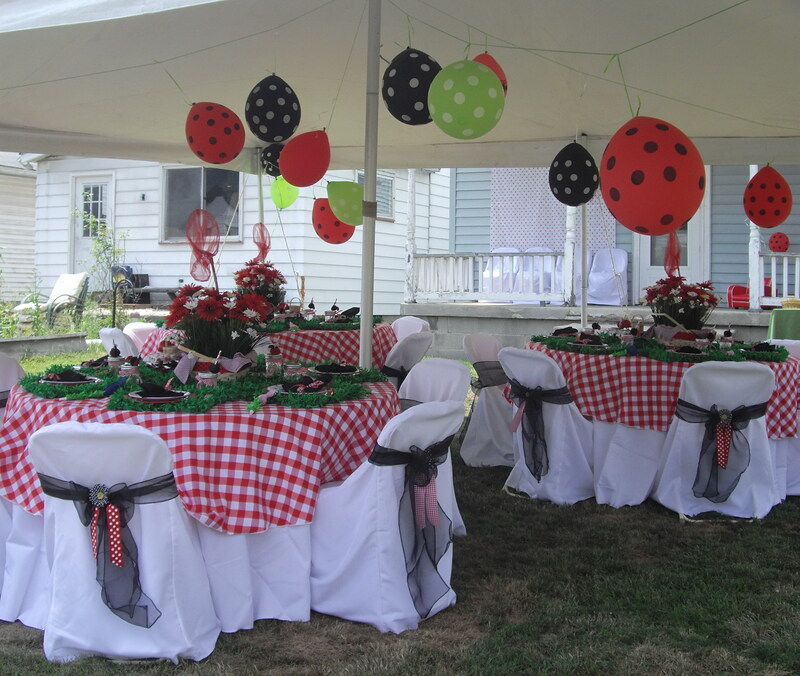 I am having a ladybug 1st birthday party for my daughter in a few weeks and I’ve been looking for a economical way of making fake grass. They come in a package of 2 and I had to cut them in half because they were too big, so you really get 4 to a package if you’re using them as placemats. 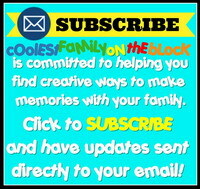 I’ll email this to you as well to make sure you receive it! What an awesome theme! Love all of your ideas. 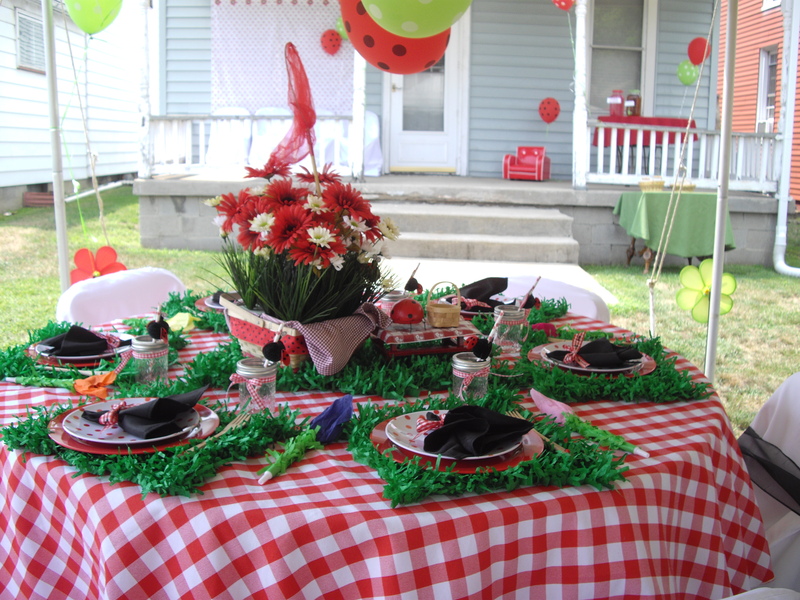 Where did you get the placemats? 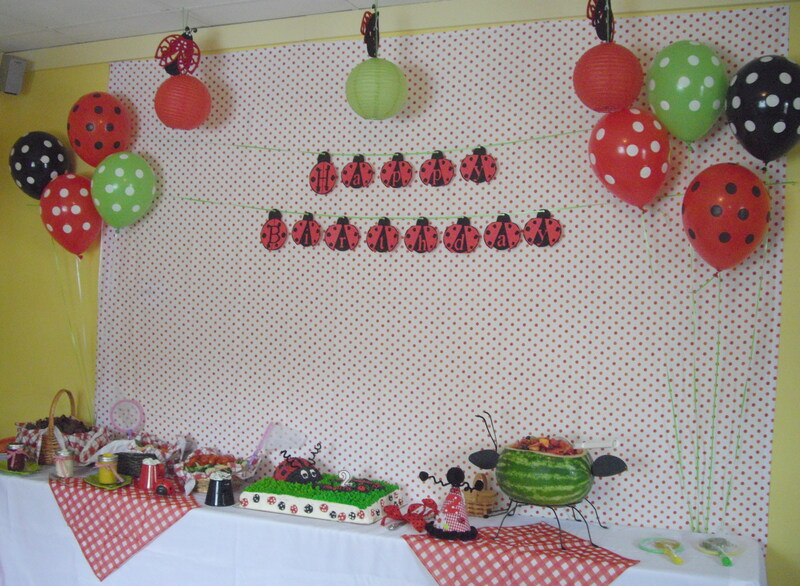 Party is adorable the ladybug theme, love it, I’m going to do my daughters too! 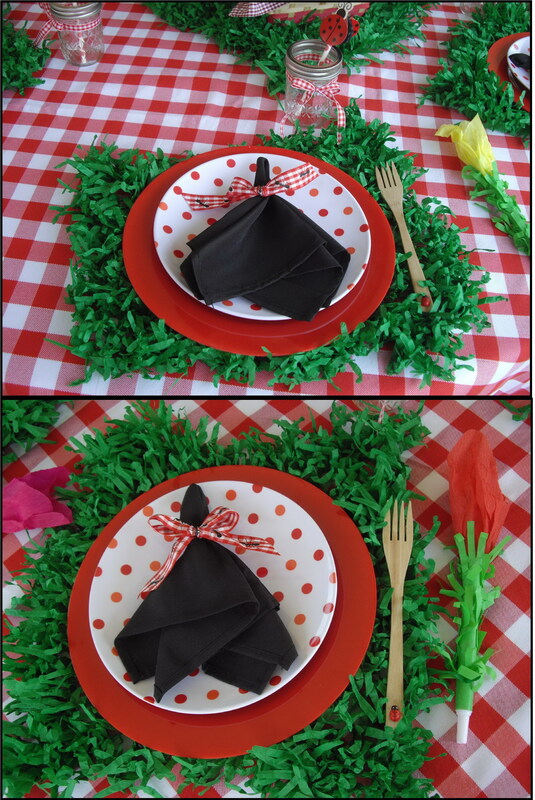 They come in a package of 2 and I had to cut them in half because they were too big, so you really get 4 to a package if you’re using them as placemats.